Doesn’t it have an engine, steering and a team? Nice, another aspect of local motorsport so that’s why you’re seeing this here. 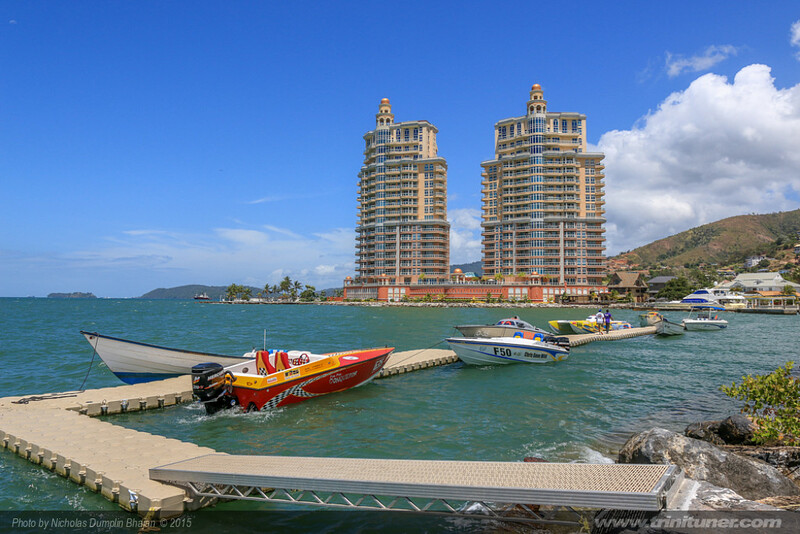 Though not as popular as most other forms of motorsport locally, the Trinidad and Tobago Power Boat Association hosts Regattas throughout the year just as any other motorsport body. For the year 2015 there are 5 events carded, that is 4 regattas with the 5th event being the more popular and hyped Carib Great Race. Top Gear Festival will make its Americas debut on the Caribbean island of Barbados at the newly renovated Bushy Park Circuit on 17-18 May, 2014. Hosted by Jeremy Clarkson, Richard Hammond and James May, Top Gear Festival Barbados will feature an awe-inspiring line up of cars and driving talent including The Stig, the Top Gear Stunt Team and guest drivers from the world of motorsport and entertainment. Stars will take to the track in a series of Top Gear style stunts and features for the action packed weekend. Tens of thousands of visitors are expected to flock to Bushy Park as the circuit reopens for the first time since its renovation by Bushy Park Circuit Inc, the developer and local promoter of the event. 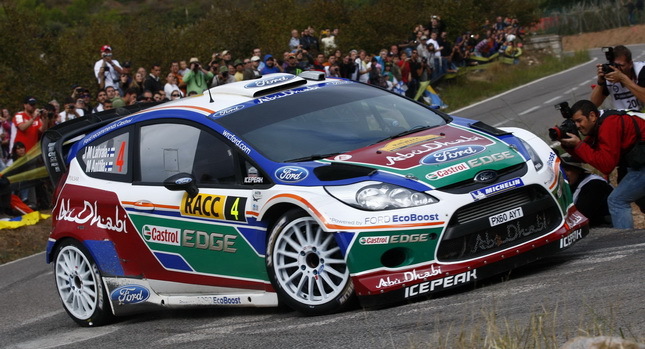 Powell will drive for Ford M-Sport at Rally Spain 2012! 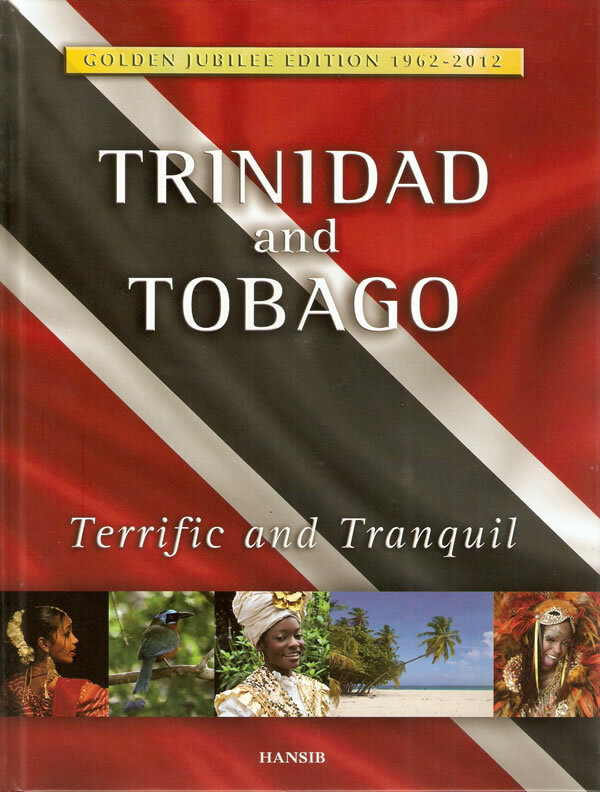 Marking Trinidad & Tobago’s 50th Anniversary of our Independence, the Golden Jubilee Edition of “Trinidad & Tobago – Terrific and Tranquil” publication includes features of T&T as diverse as our many cultures. The one feature that stood out for us here at TriniTuner.com is of course Motorsport. This two page feature included photos of recent rally, karting and drag racing events as well as circuit racing in its heyday at Wallerfield in the 80’s. The major accomplishment for local motorsport in this publication however, is the recognition of Sheldon Bissessar in the list of “50 Exemplars and Icons of T&T”, a list populated by great icons such as Pat Bishop, Rudranath Capildeo and Brian Lara. We received correspondence from our local FIA ASN and Motorsport NGB, TTASA (Trinidad & Tobago Automobile Sport Association) regarding the visit from a top FIA contingent lead by the FIA President Mr. Jean Todt. 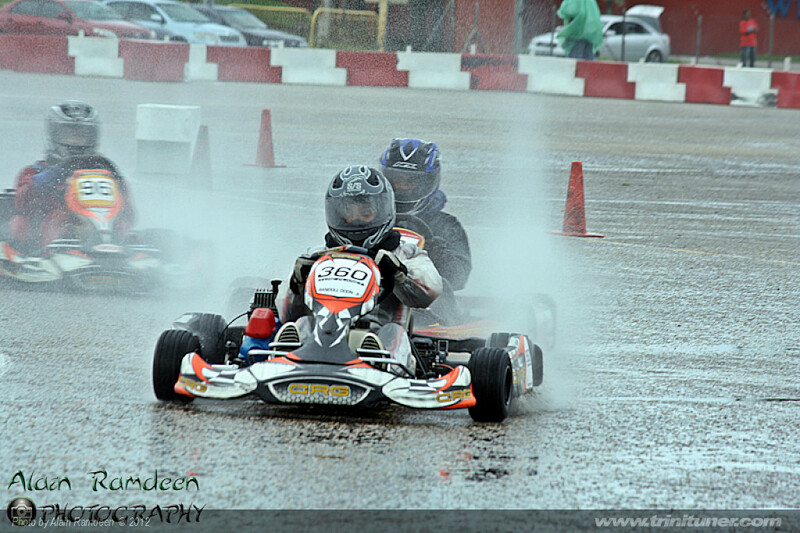 TTKA Race #5 was held at its usual location the ARC car park, but this was as far as familiarities went. From early in the morning racers, pit crews and event organizers alike had to face torrential rain, there were even concerns if the event would even take place. Luckily the rain eased up with some intermittent light showers occurring during the evening. 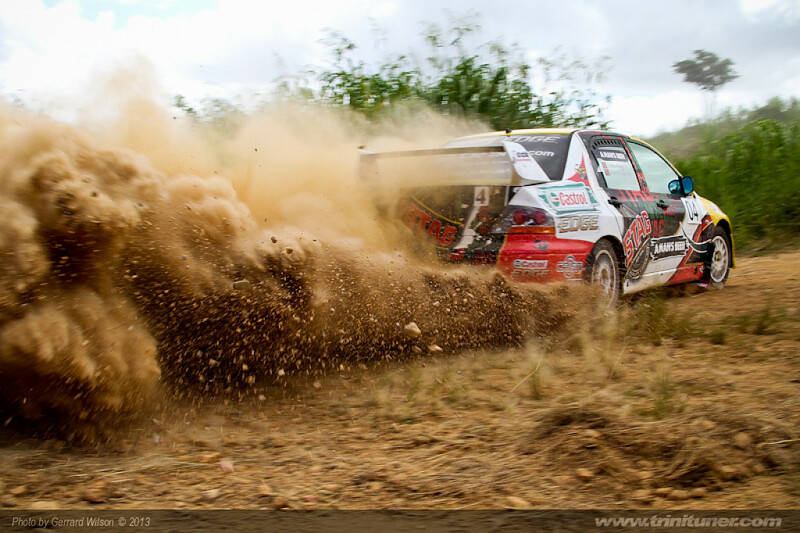 Flying the T&T flag, John ” Penti” Powell & Nick Telfer created history at last weekends Rally Jamaica. The pair took top honors and removed the trophy from the island for the first time in its 20 year running.Driving his newly acquired Subaru s14 Wrc machine for first time on Gravel, Powell won the rally for the first time in 11 attempts. 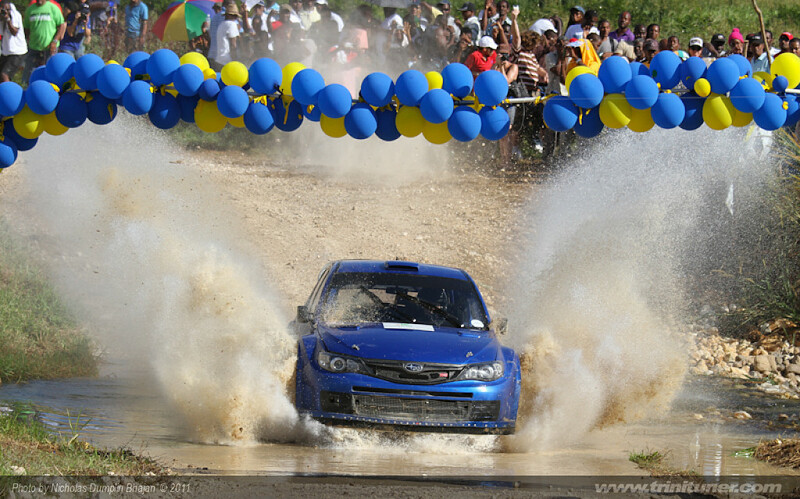 Finishing a very close 2nd was Barbados’s Sean Gill/Michael “Zippy” Cummings, followed by Gary “The Colonel” Gregg/Hugh Hutshinson and wrapping up the top 4, Jeffrey Panton/Michael Fennell Jr.